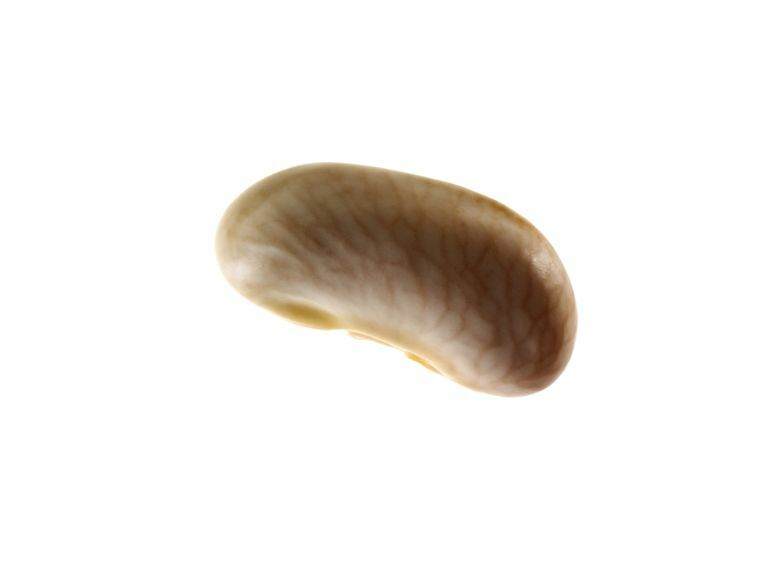 This is a white bean not a lymph node but lymph nodes are small, bean-shaped nubbins that help the lymph system remove bacteria and toxins from the tissues. In this article round-up, all different facets of lymph nodes are covered, so it’s a great place to start. If you have a question about lymph nodes, chances are we’ve got you covered here. Not quite lymph nodes for dummies, this article is nonetheless a good place to start. There are nearly 600 to 700 bean shaped nodes throughout the body. Lymph nodes are part of the lymphatic system—the body’s other circulatory system, which circulates lymph fluid in channels, helping to remove toxins and foreign invaders. Common questions relating to swollen glands or swollen lymph nodes are answered, such as: What’s the most common cause of swollen glands? Are lymph nodes really glands? How can I tell if a bump is a swollen lymph node, or something else completely? Do lymph nodes ever swell for no reason? What are the different types of things, in general, that can cause lymph nodes in different areas to swell? This is the article you want for questions like this: What is the connection between cancer and the lymph nodes? Is there such a thing as lymph node cancer? What do lymph nodes do when they are not cancerous? What are the symptoms of lymph node cancer? Do people with leukemia have swollen lymph nodes? What about people with lymphoma? Wondering what, exactly, happens inside a lymph node? This is the article for you, and it just so happens there is a link to a video game that makes learning about lymph nodes fun. Genentech—a company well known for its immune-based therapies, developed this game called lymph node labyrinth. It turns out lymph nodes are happening places–a bit like huge outdoor marketplaces, with winding aisles and alleyways and various vendors to interact with. In the mix of this mysterious labyrinth, you’ll also learn about antigens, killer T cells and the role of antibodies. For antibody-related gaming see “T Cells Attack," a game that’s a bit like Angry Birds. If your interest in lymph nodes has more to do with the role of antibodies, check out How Antibodies Treat Cancer. And if it’s that whole "antigen-presentation thing" that baffles you or peaks your interest, try a different article round up: the Cancer-Immunity Cycle. Sometimes whether a lymph node is painful or not gives doctors clues as to what the disease might be. That said, there are always exceptions and nothing is ever easy. For instance, painless swelling of one or more lymph nodes may be the only symptom at first in certain types of lymphoma, such as follicular lymphoma. About half of people with lymphoma will have enlarged lymph nodes. These nodes are not usually painful to the touch, although they can ache. In some people, the affected lymph nodes can become painful after drinking alcohol, and this seems to be more common in people with Hodgkin lymphoma. Neither leukemia nor lymphoma is diagnosed by imaging. Initial diagnosis typically requires biopsy and a number of laboratory tests that are performed on the blood and tissue samples. Imaging tests for leukemia, in particular, may not be as helpful as in other types of cancer that form tumors. With respect to lymphoma, the patterns of lymph node involvement which may be revealed even by chest x-rays can be a very important initially, to help narrow down the possibilities. Not all swollen lymph nodes in the chest are lymphoma. Other cancers, infection and nonmalignant diseases like sarcoidosis may be to blame. Lymphadenopathy is the disease or enlargement of lymph nodes. There are different types of lymphadenopathy—or different patterns of lymph node swelling. Lymph nodes can be named for a region, a specific organ or any combination of these—it’s a bit like Russian dolls. If you want to know more about retroperitoneal lymph nodes, or the lymph nodes in the chest near the heart and lungs—the mediastinal lymph nodes—articles bearing those titles are your best bet. So, what is normal? The answer depends on the location of the lymph node, as well as how strict or lax you want to be about the possibility of overlooking an abnormal node. Keep in mind, lymph nodes that react appropriately—to infection, for instance—by swelling are engaged in a healthy response that helps the body. For generations lymph node size—swelling or enlargement—has been a key indicator to doctors of disease. It’s still true in many cases, however, just because a lymph node is normal-sized does not mean it is perfectly healthy, either. And this becomes important when the concern is cancer. A doctor doesn’t necessarily know to be concerned about a lymph node if, based on CT scans or x-rays, there does not appear to be anything wrong with it. That is where PET/CT can potentially offer additional detection power. For instance, PET may reveal disease in normal-sized lymph nodes and help to evaluate disease that is outside of the lymph nodes, but not evident on CT.